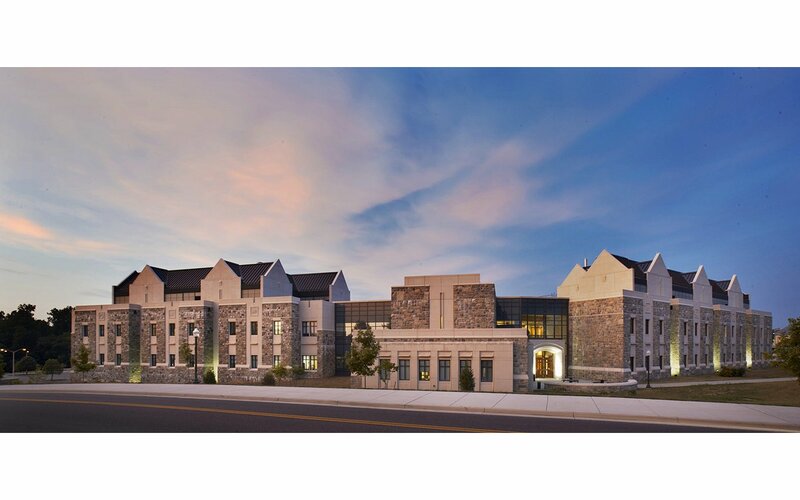 The Biocomplexity Institute of Virginia Tech (formerly the Virginia Bioinformatics Institute) brings together experts from disciplines as diverse as mathematics, biology, economics and biochemistry. Research focuses on human, animal and plant diseases with the goal of helping to develop new vaccines and drug treatments. The Institute’s programs are supported by a variety of government and private agencies including the National Institutes of Health, National Science Foundation and the U.S. Department of Defense. 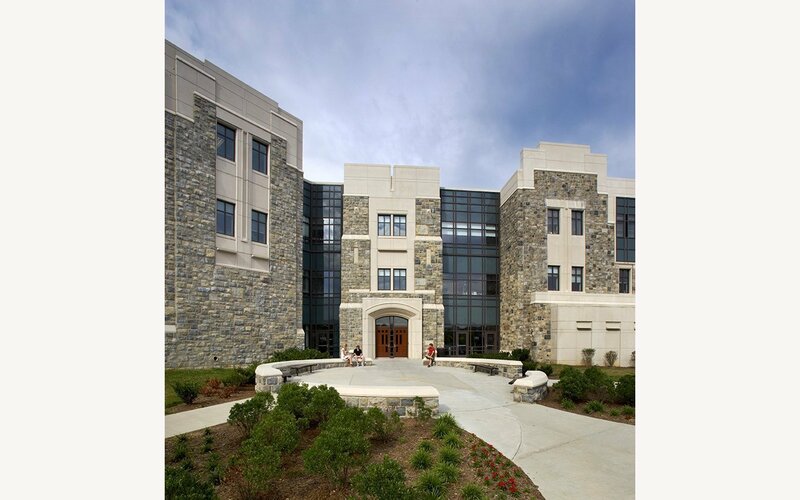 The building exterior melds the traditional “Hokie Stone” used across Virginia Tech’s campus with modern architectural forms, blending with the Collegiate Gothic campus architecture. 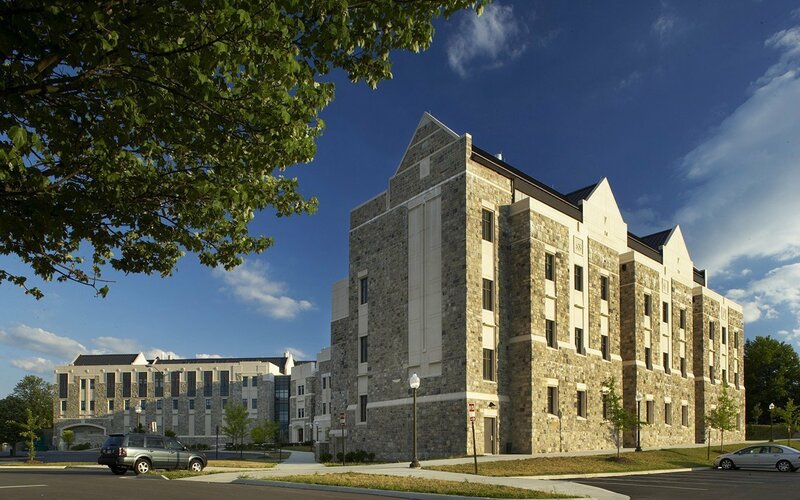 Located at a major intersection at the entrance to the central campus, the building presents a scaled down façade that allows views of the buildings beyond. Taking advantage of a sloping site, the building opens up to the primary entrance. 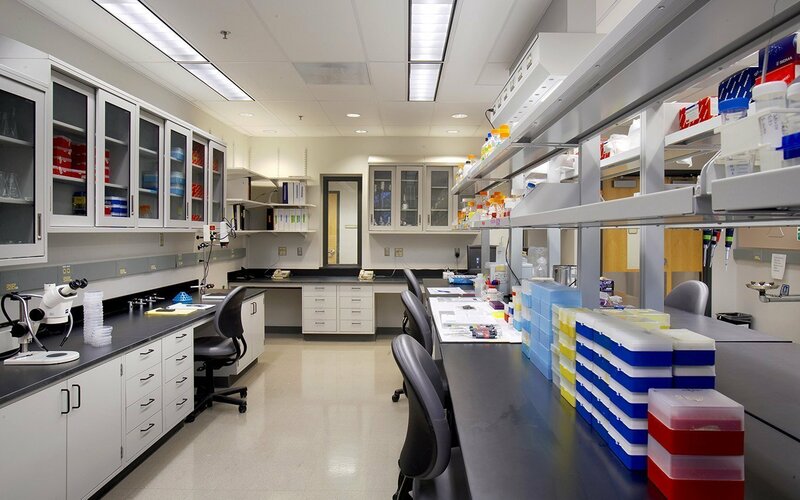 The interior design is high-tech, reflecting the advanced research conducted in the building. 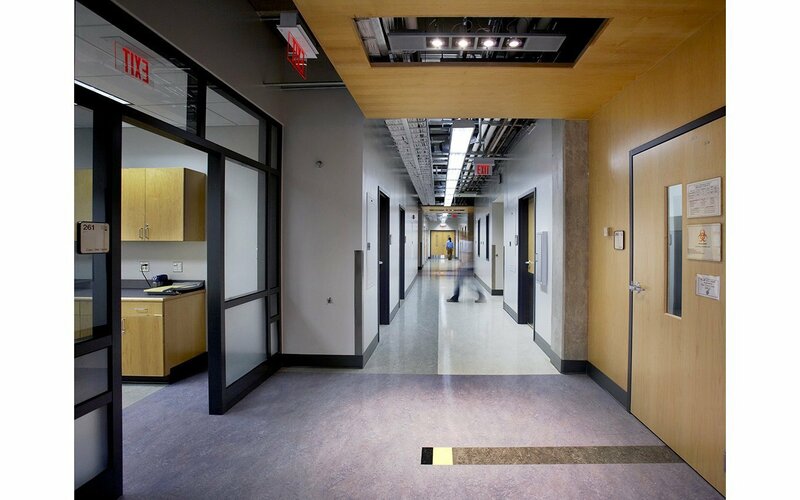 The interior design concept for the building is based on activities that are performed in some of the labs themselves, which involves slicing, then re-splicing DNA strands, then generating graphic images that they study to review how the splicing reacts. 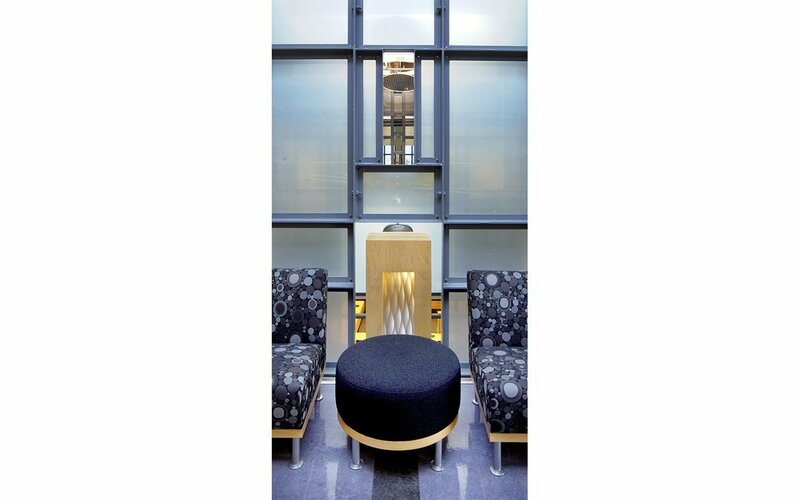 These techniques were extrapolated as the featured components of the interior space planning as well as the patterning found in many of the finishes throughout the facility. 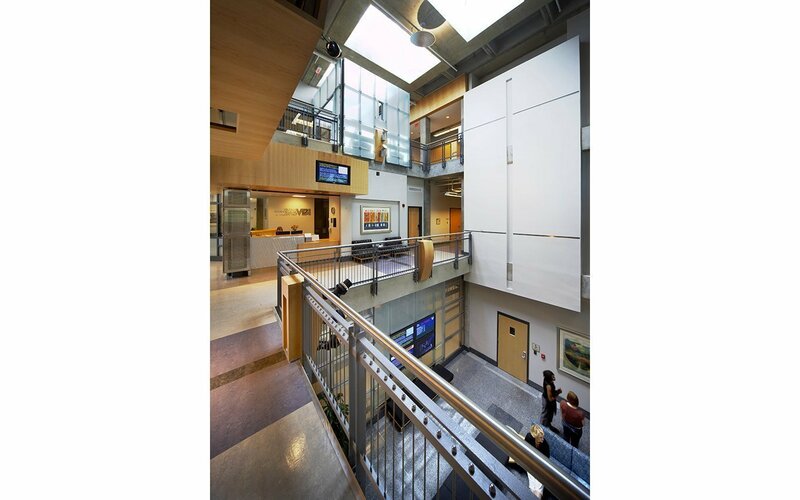 Designed to foster informal interactions between researchers, meeting points and open collaborative spaces provide places where associates can mingle to discuss solutions and ideas. Wire management, modular and multiple ports, and central overhead utilities allow maximum flexibility. 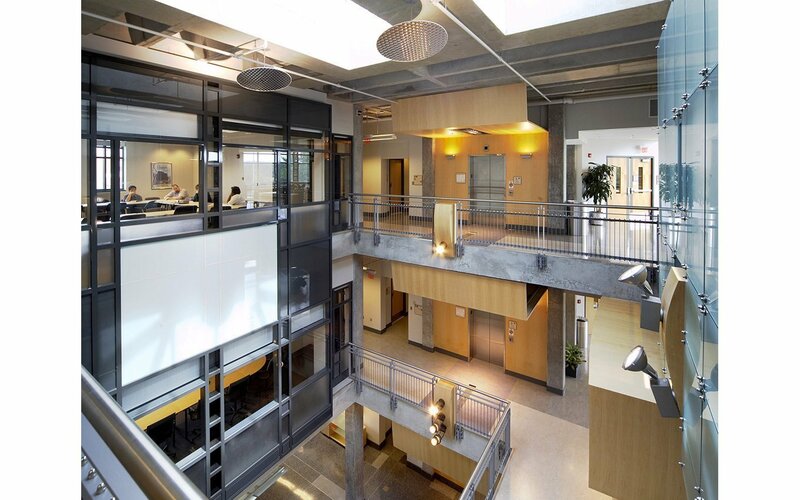 The building was completed in two phases and includes wet labs, office and work space, a core lab and computational computer lab and data center. The complex also contains a 175-seat auditorium, Board Room and multiple small conference spaces. All spaces are networked into the full building system. The complex supports a staff of 170.